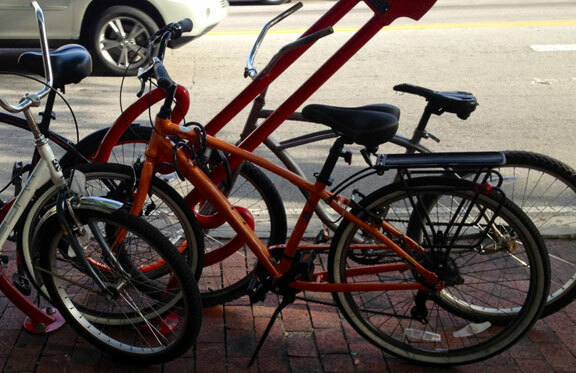 2011 bright orange "Cantaloupe" Jamis Hudson Sport stolen Saturday (9/1) afternoon from Mary Brickell Village. Bicycle has 7-speeds and black rear rack. Please contact Adyan if you have any information at (787) 587-4007. In similar fashion to the majority of bicycles being reported stolen in Miami, this bike was locked with just a cable lock. 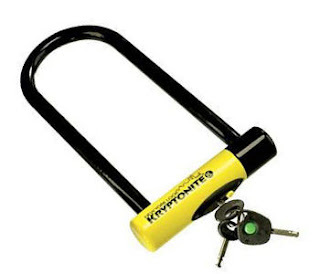 We cannot stress how worthless cable locks are, if you really want to keep your bike please use a 16mm U-Lock. 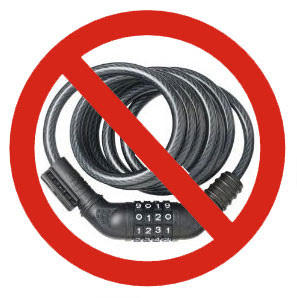 Only use a cable lock as a bonus, i.e to protect wheels and/or accessories. It's impossible to prevent theft but you can at least make it tougher for thieves.